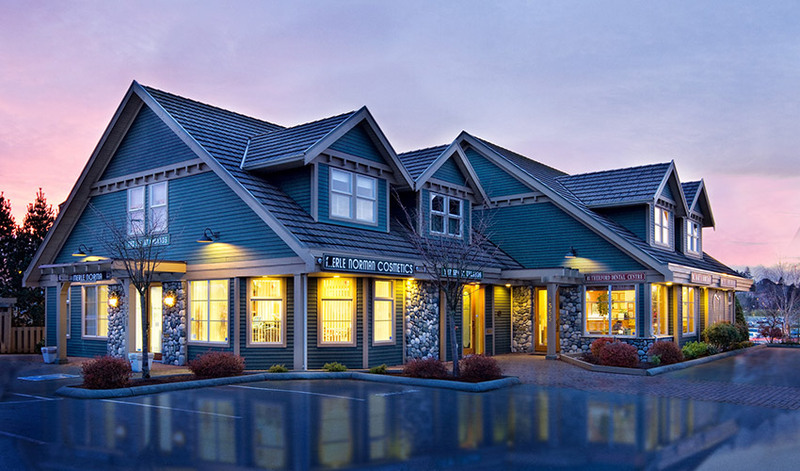 The goal of Rutherford Dental was to create a structure which resembled a traditional residential housing style, with steep, slanted roofs and dormers. This brand new commercial construction features natural stone accents and a distinctive concrete tile roof. Considering a Commercial project? Let's chat!